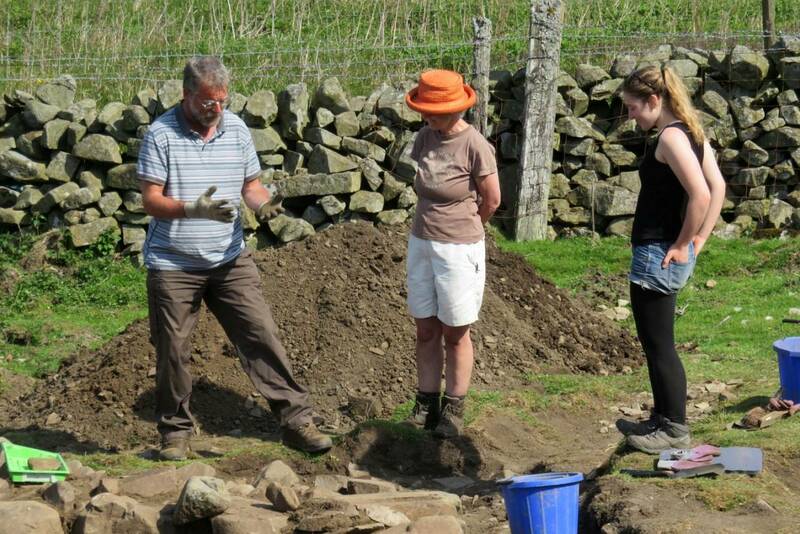 'Fireplace' Paul Frodsham describing features of this medieval building. 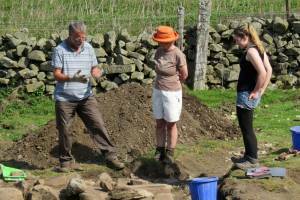 Day 8 Another brilliant day to be in Teesdale as long as you haven't forgotten your suncream. Apparently there was some sporting and other events on today, so I concentrated on getting my paperwork up to date, as you can see in Trench 5 (Image top left - foreground) there was zero activity. 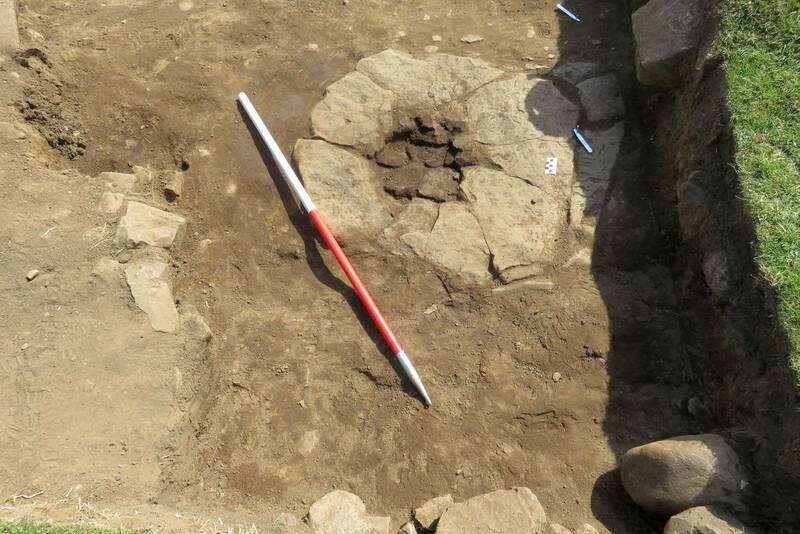 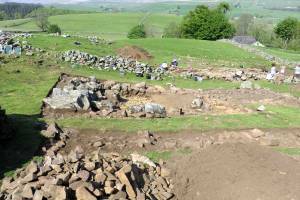 However the larger Trench 3 finished uncovering a rather nice little 'fireplace' that must have been from an earlier structure as the northern wall of the main building would have partially covered it (image bottom left). 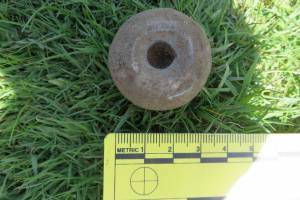 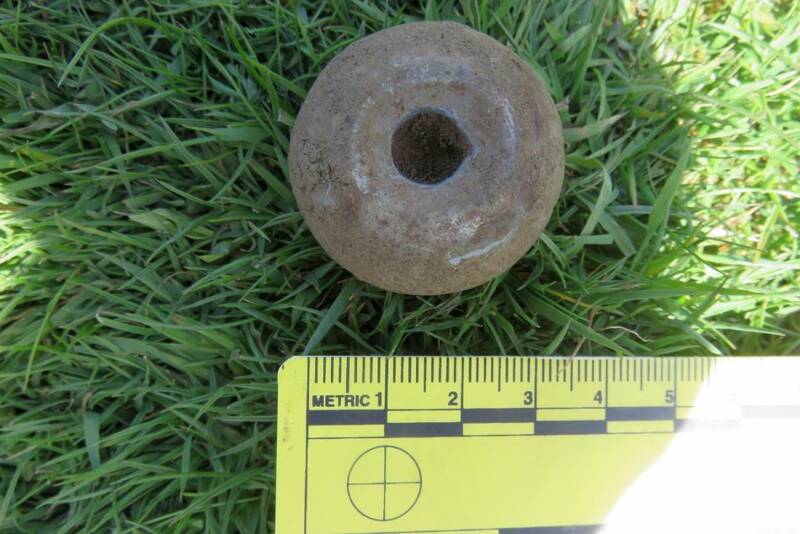 Found at the other end of Trench 3 was a rather nice loom-weight (image top right).